Women, the poor and other vulnerable groups are particularly impacted by the shortcomings of the water and sanitation sector in developing countries like Cabo Verde. Yet, women and the poor are seldom represented in national policy conversations and decision-making. At the local level, utilities rarely design services that address the challenges that these groups face in accessing and paying for water and sanitation. But in Cabo Verde, an island nation off the coast of West Africa, this is changing. 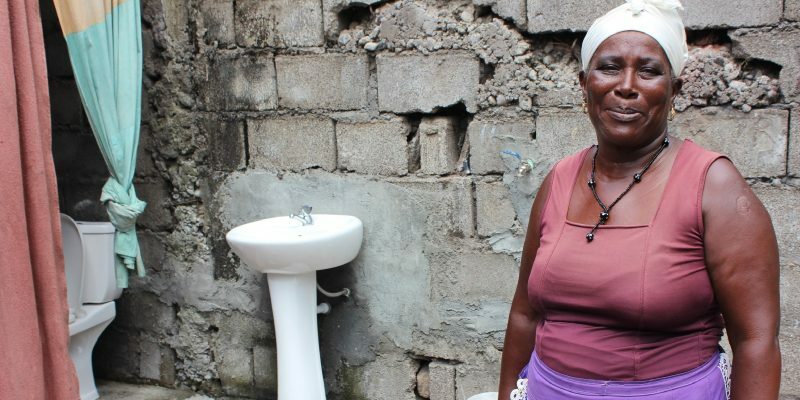 Thanks to an MCC-funded project in Cabo Verde that provided low-cost household connections to water and sanitation networks, Celestina has clean water coming directly to her home. She now spends less time collecting water and has a private, indoor toilet. In partnership with the Government of Cabo Verde, MCC is supporting reforms to the country’s major water and sanitation institutions and the development of a financially sound basis for the delivery of water and sanitation services — from clean tap water to safe wastewater removal. By considering women, the poor and other disadvantaged populations in making these reforms, along with improving accountability, the Government of Cabo Verde is expanding access to and affordability of these vital services to help people lift themselves out of poverty. Globally, 748 million people live without access to piped water or other drinking water sources that protect against contamination, and 2.5 billion people lack access to a flushing toilet or similar sanitation facilities. When access is lacking, women and girls are most likely to shoulder the burden, as they are most often responsible for the daily tasks and costs of managing household water resources. According to the United Nations Children’s Fund, women and girls around the world spend 200 million hours daily collecting water to provide for their families, sometimes traveling long distances. And every day, women and girls face risks of sexual harassment and violence because they don’t have a private, safe sanitation facility or water close by. This time lost means women and girls are more likely than men and boys to disrupt their education and less likely to pursue paid employment and other activities that help increase family incomes and foster economic growth in their communities. Global gross domestic product would increase by as much as $28 trillion if women had the opportunity to participate in the global economy at equal rates to men. The United States is a leader in promoting women’s rights around the world. By supporting our partner countries in undertaking difficult reforms, as in Cabo Verde, MCC’s investments address barriers to women’s participation in the workforce and empower them to contribute to their countries’ economic growth. Despite significant improvements in the water and sanitation sector over the last two decades, Cabo Verde still faces major challenges. As an island nation, Cabo Verde relies on the energy-intensive process of desalinization for clean water, which is made even more costly by the high price of imported fuel to power the national grid. Only 59 percent of people have access to piped water in their home or on their property, just 20 percent of the population is connected to a sewer, and 27 percent of the population is forced to resort to open defecation. In 2012, under the MCC-Cabo Verde Compact, the Government of Cabo Verde embarked on ambitious reforms to its water and sanitation sector. Addressing challenges faced by women and other vulnerable groups in accessing water and sanitation shaped each MCC-supported project. An innovative grant facility was established to fund infrastructure and capital investments to utilities on a competitive and transparent basis. A dedicated Social Access Fund was created to improve access to water and sanitation for poor and women-led households — and the fund has already provided more than 3,000 new connections to the water network and more than 2,000 new sanitation facilities, including septic tanks, household plumbing and connections to the public sanitation network. And perhaps most critically, MCC helped the Government of Cabo Verde create new institutions and strengthen existing ones to improve governance, function and inclusivity in the delivery of water and sanitation services. Nearly 600,000 people are expected to benefit from MCC’s investments in the sector over the next 20 years. The creation of entirely new institutions in Cabo Verde offered a unique opportunity to integrate the needs and voices of women and low-income populations at both national and local utility levels. Members of a new special office within Aguas de Santiago (AdS), a utility on the island of Santiago, work on making the utility more responsive to the needs of women, low-income families, and other vulnerable populations. 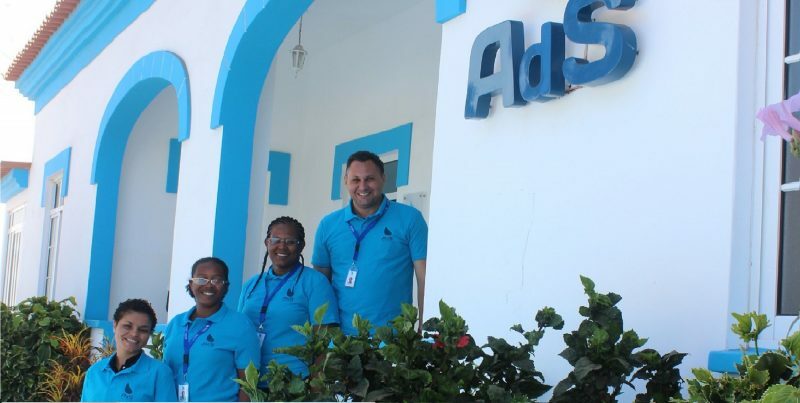 To deliver more affordable water and sanitation services to the people of Cabo Verde, independently operating municipal and utility water services were consolidated to form AdS as part of the MCC-Cabo Verde Compact. At the national level, the government launched a National Agency for Water and Sanitation (ANAS) with an Office of Environment and Gender and Social Integration. The Office works with departments to support data-driven social and gender analyses that inform master planning, investments, policy discussions, and monitoring and reporting — all to improve access and affordability. It also engages stakeholders, including civil society, and undertakes national information, education and communication campaigns on water, sanitation and hygiene. Historically absent from national water and sanitation policy and strategy discussions, women and civil society organizations in Cabo Verde today now have permanent seats on the National Council on Water and Sanitation, a consultative body. MCC’s compact also inspired the creation of a national network on social inclusion and gender in the water and sanitation sector that brings together national ministries, municipal governments, non-governmental organizations, academia and donors to better coordinate resources and ensure the concerns of women and the poor are included in policies and programs. Cabo Verde’s policies today also now include key provisions that advance physical and economic access to water and sanitation. The country’s national strategic plan for water and sanitation sets minimum consumption goals for water and aims to make water available within a reasonable distance from homes at a cost compatible with incomes. A new tariff policy is already benefitting vulnerable residents by reducing the price of water at community stand-posts to the same price that households connected to the public water network pay. And for customers on the public network, the new tariff policy includes provisions to reduce water bills for low-income households. At the local level, independently operating municipal and utility water services were consolidated on the island of Santiago into a single corporatized utility called Aguas de Santiago (AdS). The island is home to approximately half of the country’s population. Within this new utility, the Office of Information, Education and Communication, and Social, Gender and Integrated Management helps other units throughout AdS understand the value of improving utility efficiency and revenue by expanding and improving services to women, low-income and other vulnerable populations. By examining the diversity of users’ needs with regard to access, payment schedules, billing, connections and technologies, this unit is helping AdS adopt practices that meet those needs. And by better serving vulnerable groups, the utility is expanding its customer base to ensure not only its own but also the sector’s long-term sustainability. These groundbreaking institutional reforms undertaken by the Government of Cabo Verde, with MCC’s support, can have a transformative impact for its people. As women and other vulnerable groups gain a greater voice in decision-making and their access to water and sanitation services expands, they will be better positioned to pursue education and employment opportunities that help them lift themselves out of poverty and contribute to the growth of Cabo Verde’s economy for years to come.